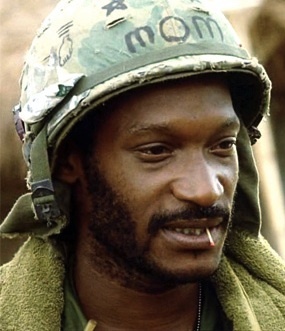 For over 25 years Tony Todd has been a fixture in pop culture. In film, Todd has made indelible impressions in such films as The Crow, Night of the Living Dead, and The Rock as well as the Hatchet, Candyman and Final Destination franchises. 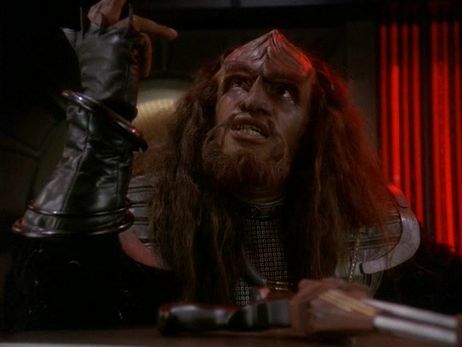 On television he’s appeared on dozens of series including The Event, Chuck, 24, Star Trek: Voyager, Deep Space Nine, Star Trek: The Next Generation and Homicide. His inimitable voice has also been heard in everything from the Transformers films, and such animated series as What’s New Scooby Doo, Pokémon, Batman: Brave and the Bold and Sym-Bionic Titan. You play Duke in the upcoming Sushi Girl. What can you tell me about the character? He’s a bonafide sociopath and I did a lot of research because there’s a fine line between charming and psychotic. So I did a lot of clinical research and I dug deep into my past and my life’s experiences. Duke is the kind of person who can hug you fully with a great embrace and in a split second just have that blank look in his eyes and stare right through you as if it’s necessary to eliminate you. I didn’t want it to be an arts performance I wanted it to be true and make him as one of the great film noir characters. And hopefully we achieved it, so far so good. You’ve appeared in a number of horror and sci-fi projects. Were you always a fan of the genre? I have my Master’s of Theater. I taught for a while. I taught underprivileged teenagers in Connecticut for like two years and thought you know what, I need to put this to work and practice what I preach and I moved to New York and had literally by midweek I had my Equity card, which I hear is unusual. I never doubted myself and that’s the truest motivation to people everywhere, if you have a dream and you want to achieve it the best way to see if it can stick is go out there and don’t be denied. So, yeah, I’m a fan of any person that hires me (laughing). For example when the Star Trek jobs came along, it wasn’t that I sought them out. But I knew the cool factor and I knew that if I did that and I did and that was my first real exposure to the whole fan world because Star Trek invented the whole convention genre. It was just awesome that somebody would want to spend time telling you almost word for word the lines that you said and actually want to shake your hand and bring you homemade Romulan wine and et cetera. It’s been a wild and crazy journey and it’s not over yet. Most fans of your television and film work might not be aware of your considerable work in theater and as a voice artist. Do you have a preference to working on stage, as a voice or in front of a camera? My preference is theater. It always has been and always will be. Unfortunately, film just pays me too much money to ignore it (laughs). Television buys nice little accessories like lamps and tables and stuff like that. I’ve been lucky, I’d would say about 85% of the work I’ve done I was like 100% enthused by it. A couple not so much. Looking back I’ve been able to be on a number of cult classics, which is just awesome. It wasn’t planned that way it just happened. From X-Files and on and on. You’ve worked with a number of amazing directors including Oliver Stone, Clint Eastwood, Dennis Hopper, Alex Proyas, and Michael Bay as well as a number of first time filmmakers as well. From an acting standpoint, what makes a good director? Thank you Oliver Stone for giving me my first movie by the way (Laughs). A good director is somebody who gets out of an actor’s way yet at the same time encourages the actor to be the best that they can be without being over the top. If that makes any sense. So they’re there to reign you in in some respect? Yeah. If you look at the relationship between Humphrey Bogart and Walter Huston, John Huston and the fact that they could hang out, have a drink together, go fishing. They had an unspoken kinship. The best director is somebody that can suggest something that can make an actor’s mind get mercurial and come up with a fantastic result. My favorite director’s are the ones I’ve worked with more than once. The key to success and for all you aspiring actors out there is don’t burn any bridges and become friends, true friends, not fake friends. Find something in common and if everything works out you’ll find yourself working again and again and again. Aside from the answer that it’s a job and an actor works when they can, on a personal what draws you to a project? The script. First and foremost. And that comes from my theatrical background. You need to have a beginning, a middle, an end. It needs to have compelling characters. It needs to have something you can relate to and something about it that even if it’s familiar, it needs to have something that hasn’t been stated before. If you find yourself doing the same old thing, then you’re in a rut. You’ve got to keep surprising yourself. You also tend to get cast as an authoritative character, either military or intelligence operatives. What kind of research do you put into parts like this? I put total research in every character I do. Whenever I get something I research that particular field and if I have contacts that can get me inner access I follow up on that and after all that’s done, I throw it all away and try to rely on my imagination to supply the rest. I think I have a pretty strong imagination. I grew up as a single kid with a single mom so I was left to my own devices quite a bit playing in the backyard and what’s ironic is all those fantasy characters that we all did; being an astronaut, playing cops and robbers, I’ve been paid professionally as an adult to recreate and that’s kind of a fairy tale. it’s been a pleasure. You also have a project that you’re planning to write and direct called Erie, PA. What can you tell me about that? That’s my little pet project that will get made. It’s going to be my little gem. It’s in the vein of Midnight Cowboy, the classic movie of the seventies with Jon Voight and Dustin Hoffman. It’s a study of friendship and tragedy and it’s set in the small town Erie, PA which I went and visited and was struck by the fact that it’s stuck in the Seventies. It’s timeless and people had mullets, people gambled and there’s a rivalry between the Pittsburgh Steelers and Cleveland Browns. I’m a huge sports fanatic. I have a timeframe of 72 hours where these two bookies have to make a sudden demand payoff or lose their friendship or not. It’s a tale of revenge, redemption and so forth. 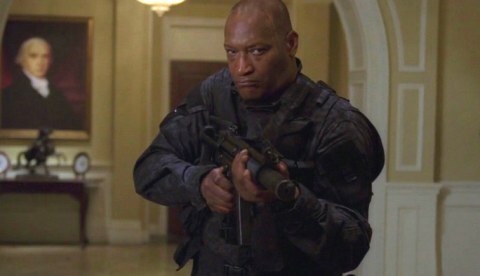 With so many reimaginings of horror franchises, is there a return of Candyman on the horizon? They talk about it almost every two years that it’s brought up. At this point when they do it again I probably won’t do it. I stand by at least two of the three that I did and I know that it will always be forever. The first one is a terrifying film. I dare anyone to watch it and then go look in the mirror and say “Candyman” three times. That movie is twenty years old and not a day goes by where at least two people come up to me and say that I did something to them in their childhood and that’s pretty long lasting. It’s still a cable favorite. I’ve been fortunate that I didn’t get pigeon holed and have a hook for the rest of my career I fought against that. Thankfully I succeeded. It’s all about Sushi Girl. It’s the best role of my life so far and hopefully it will be received that way. We have a great ensemble cast. Everyone’s an icon in their own right. It’s just awesome. It’s mind-numbing. Check out the Sushi Girl Website HERE!